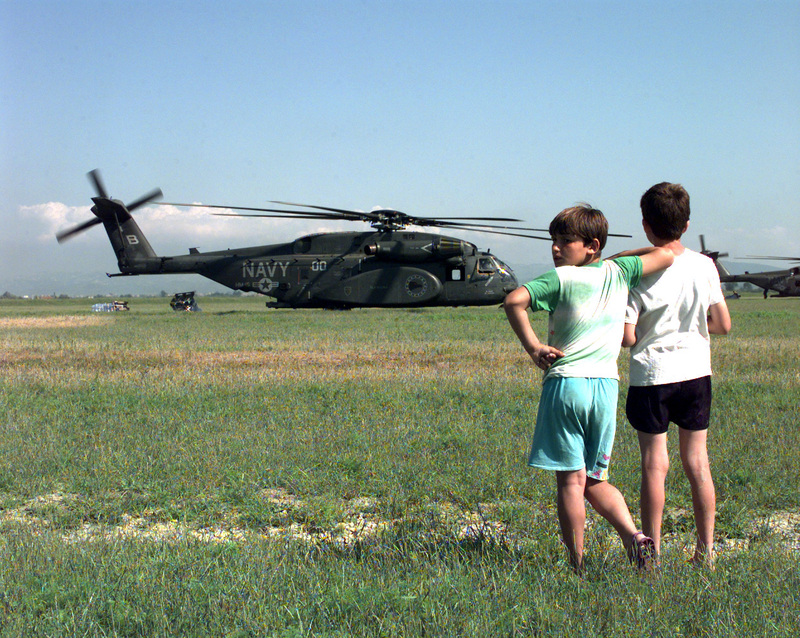 It is now a little over 17 years since the end of the last major war in the Balkans and the start of the international post conflict reconstruction effort in Kosovo. Since then there have been many more conflicts around the world and more international interventions to restore normality in war torn countries. In general, however, these have been nowhere near as successful as the international mission in Kosovo. Since 1999 peace has been maintained and Kosovo is now a sometimes shaky but mostly stable democracy with regular elections and a functioning public administration. Looking back over the past decade and a half some of the reasons for this relative success are clear. One of the most important was the scale of the exercise. Almost every major international aid organisation and national donor participated and they invested very large amounts of money. The major actors also had very clear ideas about what they wanted to achieve. In Kosovo, international actors set out to build a new autonomous administration for a soon to be independent country. Not, however, just any administration but one that the major international bodies and foreign donors considered acceptable. Kosovo had previously been part of socialist Yugoslavia. Its administrative practices had been centralised and hierarchical with an absence of independent media and civil society organisations. Its economic policies had included controlled food prices, below cost utilities, expansive staffing of state-owned enterprises and generous pensions. Although these practices were regarded positively by many in the local population, they were quite contrary to the market-based, open economic model, with efficient, corruption free public institutions, which was proposed by the World Bank, the IMF, the EU and other lead actors in the reconstruction exercise. The EU and the US approached institution building in Kosovo more or less as an exercise in green field property development. The US in particular, through its aid agency, USAID, was on the scene within weeks, preparing to establish a new administration ‘from scratch’ based on the best practice models proposed by experts at the IMF and the World Bank. They passed laws, in the form of UN Regulations, established procedures and systems, and recruited and trained local staff. In many areas their efforts are considered to have been very successful. Public finance management was a particular target of these organisations and as a result Kosovo now has a relatively effective Ministry of Finance, and a Customs Service and Tax Administration which are surprisingly un-corrupt compared to others in the region. They also succeeded in establishing a low tax, investment friendly economic policy regime intended to stimulate Kosovo’s backward economy. Meanwhile, the UN, which was actually in charge of the overall reconstruction mission, did not have the same sense of purpose or urgency. The UN resolution that set up the post conflict operation, negotiated among the various members of the Security Council, necessarily said little about what sort of administration or economic policy the country should have nor did it set any deadlines. The UN officials and seconded member-country staff who ran many of the interim government departments had no clear blueprint to work to, unlike the technical advisers engaged by donors, with their defined terms of reference. The UN mission has been strongly criticised for its performance in the interim administration in Kosovo. In the early years its presence there operated more as a branch of the Corporate Services Department at UN HQ rather than the foundation of a new autonomous government. Institutional development and capacity building was not a high priority. As a result some important issues, such as the recruitment and management of a Kosovo civil service to replace thousands of UN engaged staff, were left unresolved for a very long time and the consequences are still felt today in many areas of the public sector. It became clear that a large and very bureaucratic organisation such as the UN is not an appropriate entity to mount such an exercise. Certainly no subsequent post conflict missions have given the UN such a significant role. The apparent success of international actors in creating stable and effective government institutions, some of which continue to enjoy a high level of public confidence, nevertheless challenges some deeply held assumptions about the nature of ‘good’ aid and effective technical assistance. One of these is the concept of local ownership. Aid is assumed to work best when the local population is committed to the objectives. In this case, however, the international community made its plans and began work at a time when Kosovo had no legitimate government and large parts of the population where displaced and living in refugee camps in other countries. Opportunities to achieve real local ownership of the policies being imposed, or ‘alignment’ with the preferences of a local government, were limited. International aid donors tried their best to consult, but were also keen to take advantage of the ‘window of opportunity’ to achieve economic and social change while potential opposition was weak. Elsewhere in the international mission, on the other hand, some UN officials postponed decisions and deferred to local politicians for fear of pre-empting a future government or appearing colonial. The result was often various degrees of political capture of the administration by opposing factions and the entrenchment of sub-optimal policies, all of which raises questions about the real necessity, and feasibility, of true local ‘ownership’ in aid programs. Mary Venner is a consultant on public finances and public administration issues in developing countries.